Each year over 200 Million shoes are landfilled. It takes over 200 years before a sneaker even starts to break down in a landfill. Used shoes are in great demand in developing countries. Recycled shoes create jobs and fuel local economies. 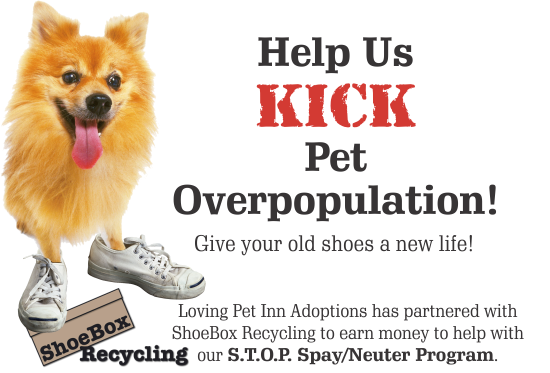 We keep new and gently used shoes and pocketbooks for our Mega Shoe & Pocketbook Sale twice a year with Animal Rescue and Foster. All funds go to Spay/Neuter.